This blog post was generously contributed by Jim McKinley of Money With Jim, a platform dedicated to helping people make the most of their hard-earned money for their retirement. When you think about your retirement, chances are you are simultaneously filled with excitement and dread. On one hand, you’ll have more free time than you have ever had in your life — time you can use to try new things and reconnect with old passions and spend time with loved ones. On the other, there’s the idea of having no regular income and the fact that you will have to remain frugal if you want that money to last. How are seniors supposed to balance out these two feelings? 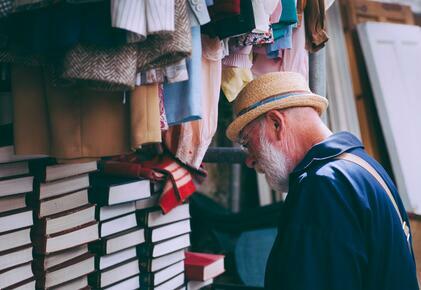 How can you make the most of your retirement, treating yourself to the things you’ve wanted for years while making sure you aren’t making things financially harder down the line? As it turns out, there are a few ways. Before you start thinking about the many ways you can enjoy your retirement, you need to make sure you are safe and protected in case anything happens to you. Your health care coverage is an important matter, so if you haven’t signed up for Medicare yet, you should do so now. Use online resources to help you determine the best plan for you and to help guide you through the enrollment process. You should also research supplemental plans that can help you cover additional medical needs such as prescription drugs and dental. With these matters out of the way, you can go ahead and enjoy your golden years in any way you please. Here are some suggestions. Travel is one of the best parts of retirement, but it can also eat into your savings in a hurry. One way to save money is to step away from the all-inclusive cruises and resort packages and opt for something closer to home. As long as you can still safely drive, road trips are great for seniors because they are infinitely flexible. You are in control of your itinerary, of how long you spend on the road, of where you eat and sleep every night, and what music you listen to in the car. Try one of these road trips for retirees and start your adventure. If you still want to see the world, there are ways to travel internationally on a budget. This article by US News has some excellent tips for doing so. Is there something you’ve always wanted to own, but that is too expensive for you to comfortably splurge on? It’s never been easier to find just about anything second-hand, so take advantage of this. It’s both cheaper and more environmentally sustainable. There are various websites you can use to find second-hand goods. Ebay is, of course, the biggest and best for online shopping when it comes to used items, though Amazon isn’t too shabby, either. If you’re passionate about something, chances are you can make money from it. Do you enjoy painting or crafting? You can open an online store selling your creations. Are you a born writer? You’re never too old to start a freelance writing career. Do you love tidying and organizing? You can make $40 to $50 an hour helping people sort through their stuff and organize their homes. There are also passive ways to make money, which can be especially useful in retirement. You can, for instance, get started in the world of real estate investing through GROUNDFLOOR, where you can begin investing in real estate projects around the country for just $10. Your golden years can be some of the best and most exciting in your life. Don’t let your fear of running out of money keep you from thoroughly enjoying your senior years. As long as you budget carefully and find creative ways to save and make money, you will have enough to both live in the moment and plan for the future.